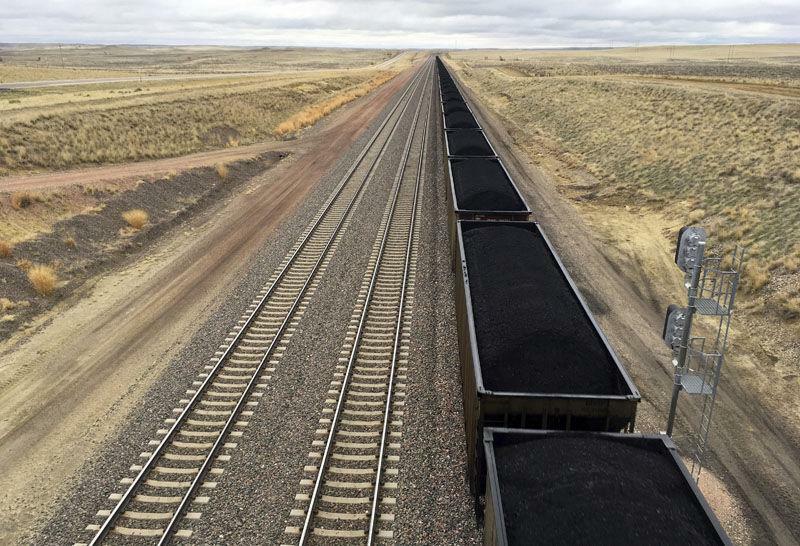 April 12, 2019 - An executive order from President Donald Trump that could help pave the way for coal exports garnered praise from Wyoming leadership this week. But critics see it as a way to lessen local control over issues of water quality in favor of industry’s bottom line. In this March 28, 2017, file photo, a train near hauls coal mined from Wyoming's Powder River Basin near Bill, Wyoming.